Das besten Biere der Welt, the world’s best beer. Many thinking of Munich’s Pride – Augustiner beer. Augustiner Bräu is the name of Munich oldest brewery. They are behind the beer that probably everyone who visited Oktoberfest has tasted. Heller Bock – A stored beer at 7.5% and only available for purchase during May and June, so hurry! Augustiner has for a long time a local presence in Munich and the area around. Because of its great popularity, you can now find the beer in several parts of Germany. 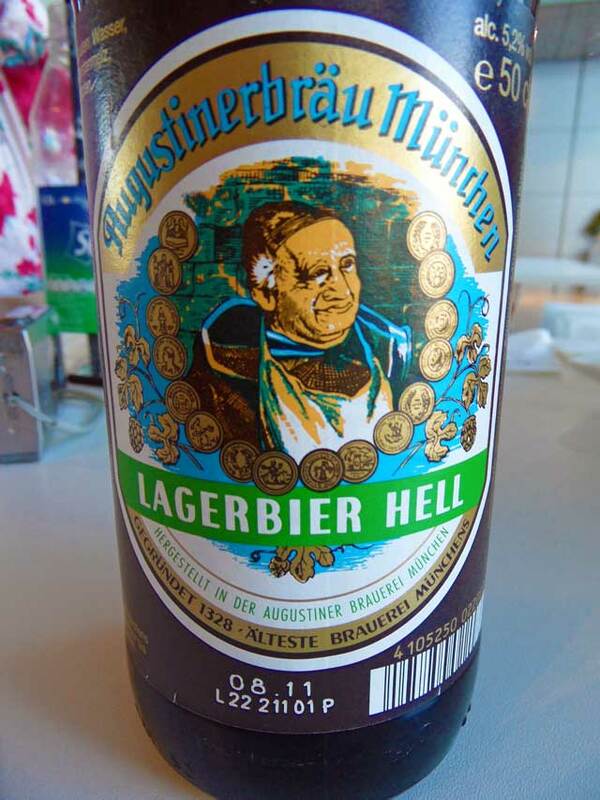 Reportedly, there are a dozen bars in Berlin that serve Augustiner. Augustiner has never been sensitive to trends. The bottle has looked the same for 20 years, and the brewery put no money on marketing because they selling their beer anyway. Virtually all the places that sell beer in Munich, including the BMW Welt, has the Augustiner in its range. Augustiner Bräu also operates one of Munich’s beer cellar, Augustiner-Keller at Arnulfstrasse 52. It is just around the corner at the central station and well worth a visit. Augustiner has partly been looking out into the rest of the world. The US has limited imports, Cardiff and Edinburgh’s beer halls presenting themselves as beer halls for Augustiner-lovers.